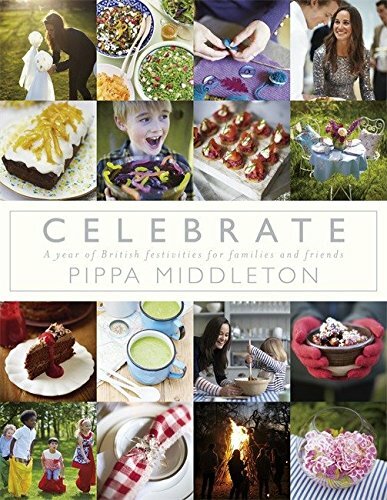 Celebrate by Pippa Middleton is a fully illustrated and beautifully designed book packed with recipes, crafts and inspirational ideas. Beginning with autumn and ending with summer, "Celebrate" is a one-stop guide to entertaining throughout the British year. It contains a myriad of personal tips, favourite recipes and useful decorating ideas. Practical but full of fun, it guides readers through the planning stages to the events themselves, from Christmas and Easter to a show-stopping New Year's Eve and from children's parties, family birthdays, lazy weekend brunches and picnics on the beach to a quiet supper at home with friends. In "Celebrate", Pippa Middleton provides easy and affordable ideas for a successful celebration and offers charming and little-known facts and historical anecdotes for each occasion. The result is a cornucopia of information that is fascinating, inspiring and wonderfully accessible.